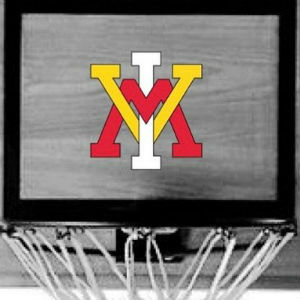 The VMI basketball recruiting class has added a pair of commitments for the 2017-18 season. Incoming freshmen Myles Lewis, a 6-5, wing from Ashburn, Va., and Donald “Bubba” Parham, a 5-11 guard from Snellville, Georgia, will join the Keydet basketball program – bringing the number of new arrivals on next year’s roster to six. Lewis played this past season postgrad at Victory Rock Prep in Bradenton, Florida averaging a robust 17.1 PPG and 7.4 rebounds after playing scholastically at Middleburg Academy. Lewis averaged 15.6 points and 9.7 as a combo guard in his two seasons at Middleburg Academy which captured the 2015 VISSA State Championship. He also played for DC Blue Devils in the Under Armour Association. Lewis plans on majoring in Computer Science. Parham scored 1,341 points and averaged 14.1 points per game, 2.5 rebounds per game, and 2.2 assists at Brookwood High School and finished his career as the school’s #3 all-time leading scorer. He was named 2016-17 Gwinnett Daily Post Player of the Year and 2016-17 Region 7 AAAAAAA Player of the Year. In 2015-16, Parham was named to the Deep South Classic All-Tournament Team and was selected second team All-Region 8 AAAAAA. In his sophomore season, Parham was tabbed Deep South Classic Most Valuble Player and the following season was named to the 2016 GACA North-South Junior All-Star game. Lewis and Parham join previously signed 2017-18 recruits Sarju Paul – 6-3, 170 Combo Guard, Daleville, Virginia, Trajen Fahl – 6-8, 180, Forward, Virginia Beach , Virginia, Jordan Ratcliff – 6-0, 188, Guard, Gibson, North Carolina, and Greg Parham – 6-4, 160, Guard, Chesterfield, Virginia.